In Japan, at least 15 people died and more than 50 are missing due to heavy rain and flooding in southwestern Japan today. 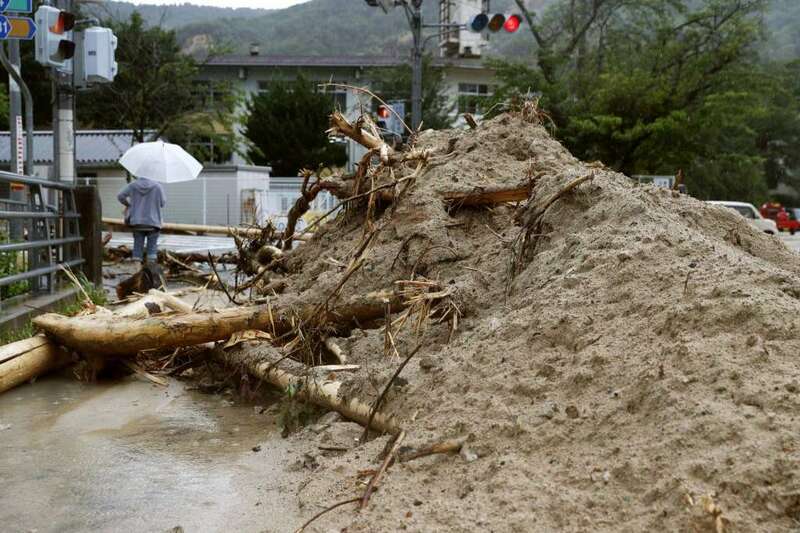 Kyoto and Yamaguchi prefectures are most affected with landslide warnings issued by the authorities. Roads are blocked in some areas and about 250 people had to flee their homes. In the hardest-hit regions, the water levels in rivers are above flood warning levels. Japan's Prime Minister Shinzo Abe has instructed his cabinet colleagues to work with local authorities to prevent the spread of damage from heavy rain in the western part of country.